Paralysis / Weak Legs ... Papilloma ... Parrot Beak (Deformed) ... Parrot Fever ... PBFD ... Psittacosis / Chlamydiosis / Ornithosis ... PDD ... Polyuria ... Poisoning ... Polyoma ... 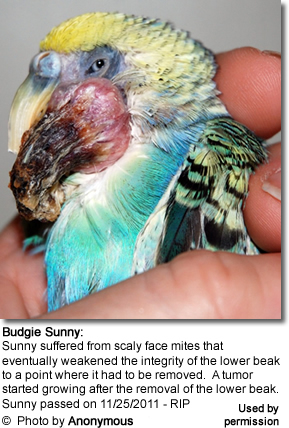 Pox Virus ... Prolapsed Cloaca ... Psittacine Beak & Feather Disease.